Despite having only started playing rugby after arriving at the University of Limerick, Fiona Coghlan is one of the most decorated players Ireland has ever produced. She won four league and cup medals as a member of UL Bohemians before making her Leinster debut in August 2002 and helping them to three interprovincial titles in 2005, as captain in 2011 and then again 2013. However, she is best known for captaining the Irish women’s national side to their first ever Grand Slam in 2013 and subsequently being awarded Sportswoman of the Year by The Irish Times/ Irish Sports Council. Coghlan also happened to be captain when Ireland defeated both England and New Zealand for the first time and retired as an international after a fourth-place finish at the World Cup in 2014. The path to such success is never easy, but as a female player, there were even more boundaries to be overcome. The first of those being that while she was trying to survive as an elite athlete, Fiona was also working as full-time PE and maths teacher in Lucan Community College, as the women’s rugby in Ireland doesn’t have professional status. 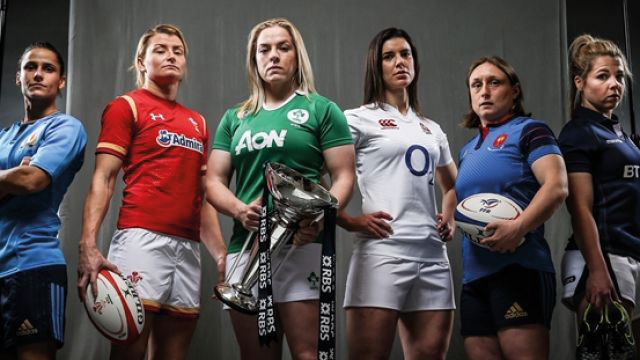 The women’s game is considerably younger than the men’s game, with the first international being held in 1993, a point that Coghlan made, but she also admonished the clear lack of investment and attention given to women’s rugby in Ireland. “Evolution-wise it’s a younger sport, however in order to grow the sport you need to invest significantly in it and I don’t think that was done. In the IRFU’s new strategy they’re planning to do it at the grassroots level, but internationals still won’t be paid,” she said. “What they will probably get is per diem (daily allowance) … which we never got. If I was away on international duty for the Six Nations it was covered by the government, but if it was a friendly or whatever, it was off my own back. We eventually got petrol money for the last couple of seasons going to international camp, but not weights and stuff, so you’re out of pocket,” Coghlan added. Being a loosehead prop, scrummaging is also a key part of the game, and proper preparation for the strain it puts on your body and its tactical use as a set-piece is essential. So, Fiona went out of her way. “For years our scrum coach was up the north, and the IRFU said we can’t go up there because there’s no physiotherapist. But I wasn’t having that as a barrier. We used to drive up the north every Thursday for a scrum session,” she remembered. How much of that lack of funding comes down to negligence on the part of the IRFU and how much of it can be accounted for by the value society as a whole places on women’s sport is up for debate, but the success of 2013 was unambiguous. The question is was that capitalised on in the way that it should have been in order to promote the game and give the senior side the recognition and resources it deserved? “No, and for two reasons,” she answered. “They will hopefully do it in their new strategy, they`re planning to double numbers across the board, but it wasn’t done after the Six Nations, it wasn’t done after the World Cup (in 2014), except for the national team going into the high-performance unit,” Coghlan added. Even though it has been four years since her retirement Fiona is still involved, doing punditry work for RTÉ, and is very clearly as passionate as ever about the game. The growth of women`s rugby in Ireland is her forethought, even when asked about what she considered to be her greatest personal triumph as a player.